This price is for the ad-supported Wi-Fi version with 8GB of internal storage. For an extra $20, you can get the ad-free version ($110), though I never find the lock screen ads to be a bother. If you're a heavy audio-book listener, consider spending an extra $30 for the 32GB version ($120). There's also an LTE version of the Paperwhite, which is ad-free and has 32GB of internal storage, though the $210 price tag doesn't seem worth it. 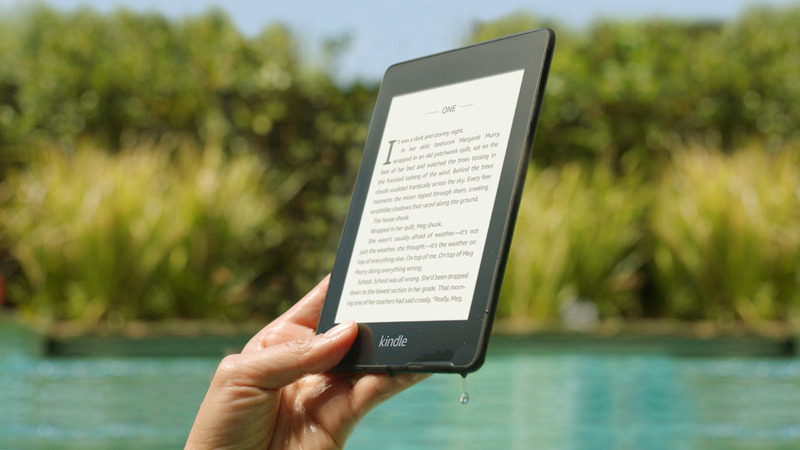 This generation's Kindle Paperwhite is arguably the complete package e-book lovers have been waiting for – a reasonably priced device with a backlit front-lit e-ink display, water-proofing, and the ability to stream eBooks from Audible. Older generation Kindles used to allow audio playback through a headphone jack, but this functionality got culled a few years ago. I rarely travel without an eBook reader in the bag, and my 2012 Paperwhite shows no signs of aging. If you're looking to get a Kindle Paperwhite, Amazon, Best Buy & Target currently offer the $90 sale price. You can get an additional 5% off with a Target REDcard or Prime credit card.